Maybe I am being nostalgic but I like remembering old times of Greek metal and bands like Nordor, Rotting Christ, Nightfall, Septic Flesh where the scene (Athens in particular) was very original and the bands very dark and primitive the way they played their music. 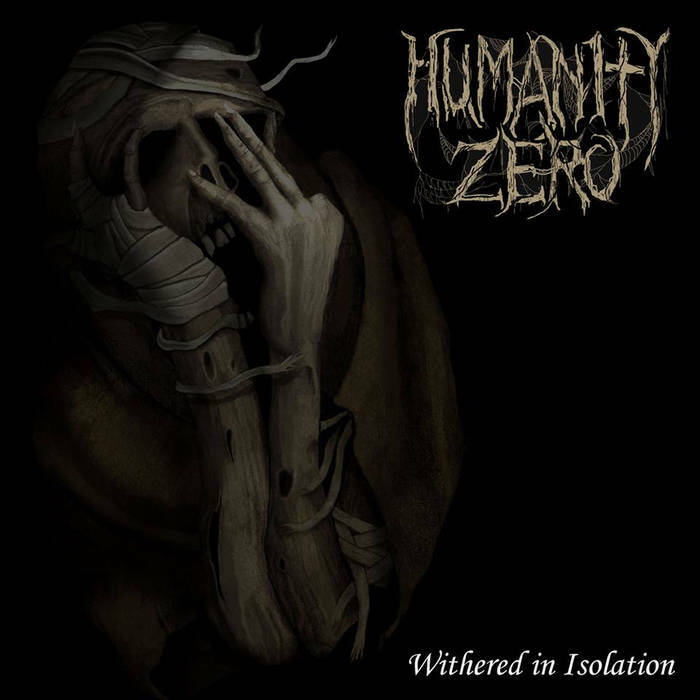 When I listen to Withered In Isolation I find confirmation of my words because Humanity Zero is in nature like these bands l mentioned. Just spirit of it is 20-30 years older but still, pretty much the same. And this album is not a black metal record, more accurately, it`s death/doom and have 9 songs on it in total . This is slow burn album and you can only hear the tracks where the band is taking the time to pace the music rather slowly, up to middle tempos. There is no time importance of this album at all because the atmosphere of music traps you like you were abandoned in the middle of Ocean with no hope. The music is builded of heavy guitars, a vocalist is growling and his raw roars are like the call from the world of the dead. They play some fine solos here, violin&keyboard passages are quite good and these are reasons why atmospheric in their songs are so well delivered. You may like it if you are into old My Dying Bride, Cathedral type of bands. The lyrics are very dark and you quickly find yourself in spiritual world of souls where you witness a decay of a body and other horrible nightmares. Charon name appeared in text in regards to Greek mythology. There are many different elements that make this album sound very - in depth and sometimes sad but it`s good to hear like a ghost of their music levitates between worlds of so many moods. They do not want melodies to shy over the music too much; they rather want gloominess, melancholy and sorrow of music to triumph. I like this album; the songs are consistently on good level and in terms of death doom metal record, this one is not to miss out.